We are all driven by different things. With all of our different visions and passions, we must not forget that there are others who might need help, whether it be financially or physically or simply words of advice and wisdom. Do you part and lift up those around you. Driven By... is adopting a park, which means we commit to keeping it free of trash and litter! Join one of our park clean-ups! Send in a video sharing your story about what drives you , how you were able to overcome obstacles in your life and how your mindset has helped you in reaching your goals. Do you have words of wisdom that you live by? Let us know so we can share these words with others who might need them. There comes a time in our lives when we begin to look at things greater than ourselves, where we celebrate ourselves by celebrating others. This came true for Samantha Hallig as she turned 25 years old. Samantha Hallig of Mississauga wanted to celebrate her birthday by giving to back to others, so she partnered with Driven By… Co. to create “Ball 4 Change.” She came up with the idea knowing that she wanted to do something significant, and with her love of basketball, she came up with the perfect event. 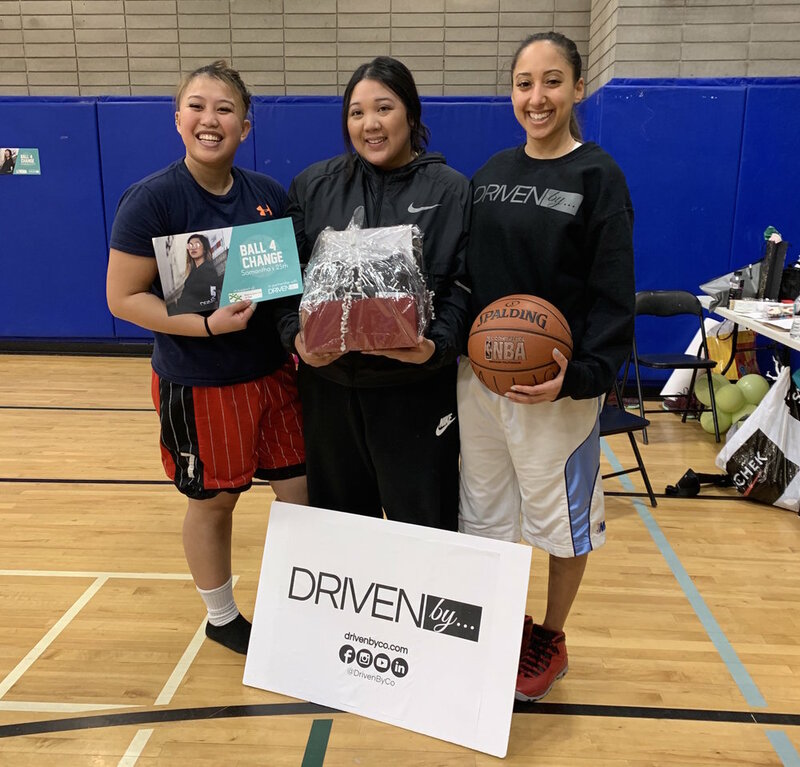 Ball 4 Change on February 17th, 2019, was a basketball tournament where instead of paying to play, players made a donation to the Boys & Girls Club of Peel through Driven By… Co. Split into 4 teams, each team played a total of 4 games. With a variety of skill levels across the room, it was great to see how everyone made each game very inclusive for all players. Everyone left their hearts on the court and the winning team walked away with gifts from the birthday girl herself! MVP awards were given to Joelle and Kyle, who gave 110% effort! We also raffled off a Driven By… hoodie and 2019 planner to raise extra money for the Boys & Girls Club of Peel. Everyone had such positive feedback for the event and thoroughly enjoyed themselves. Together we raised over $300 for the Boys & Girls Club of Peel between player donations and raffle ticket sales. It was an incredibly successful event that we hope inspires others! Happy Birthday Samantha! Thank you for Balling 4 Change! The 2018 DrivenBy... Holiday Food Drive has been a great success. With the help of many generous and caring individuals we have delivered the gifts to Armagh on December 18th. The directors and child & youth works at Armagh were overjoyed to see that we were back again for another year with even more to give! This year we raised $220 that was used to purchase 5 boxes of non-perishable food items! In addition, some individuals kindly donated toys and books as gifts for the children. In total there were over 10 boxes filled with donations! Thank you so much to everyone who donated, thank you for making a difference in the community and for helping to rebuild lives. We don't have to walk our journey alone, and you proved that! On November 9th, 2018, we had the opportunity to donate some DrivenBy... clothing to the silent auction at the Project Sunshine YPC Event. “Shine On! A Metropolitan Affair” a fundraising event to support the mission of Project Sunshine to transform medical centres into cheerful places for paediatric patients and their families. With our support and the support of many other generous individuals, the event raised over $20,000! Thank you to the organizers and especially to Liz Wood, co-chair, for inviting us and all her work to make a difference. The DrivenBy… Community Book Drive of 2018 was a great success! Thank you to everyone who took the time to gather books off of their shelves and donate them to the cause! On October 24th, 2018, the books were dropped off at South Common Library, where the books enter a library book sale. The proceeds from the book sale go to purchasing brand new books for the library! Be proud that you have been a part of improving the quality of the Mississauga library system! The DrivenBy... School Supply Drive was a major success! Thank you to everyone who made a contribution and thank you for being a part of the solution. Four large boxes of school supplies were taken to the Boys and Girls Club of Peel on August 23rd, 2018. The Boys and Girls Club of Peel is a non-profit organization that works with youth of all ages to teach leadership and inclusiveness. This organization fosters long term relationships with the youth who find themselves returning to volunteer and help those younger than them grow into DRIVEN individuals. Working as a team, we collected over 50lbs of trash on Burlington Beach on May 27th 2018. We made a huge statement on the beach as many sun bathers asked questions and commended us for what we were doing. We really don't realize how our waste is all around us! All the volunteers who were involved, explained that doing this exercise was really eye opening for them. They felt accomplished and energized, that they were able to make a tangible environmental impact. The Holiday Food Drive in 2017 was a major success. Together we filled over 8 boxes of non-perishable foods and donated them to Armagh, a local shelter for women and children in crisis.